i can't figure out which one is normal. all i want to do is sleep all the time so i just treat each transition as i am entering a new period of hell. Standard now somehow exists for less than 50% of the year in most places, so I don't even know what's standard about it anymore. Time zones approximate 15° orange slices of the globe. Under normal, non-DLS time, if you're at 0°, 15°, 30°, 45°, 60° (etc) longitude, at the center of each abstract time zone, the sun is most directly overhead at local noon. DLS shifts an hour from morning to the evening, and was lobbied for by ice cream vendors and the like who benefited from more hours of post-labor sunlit leisure. 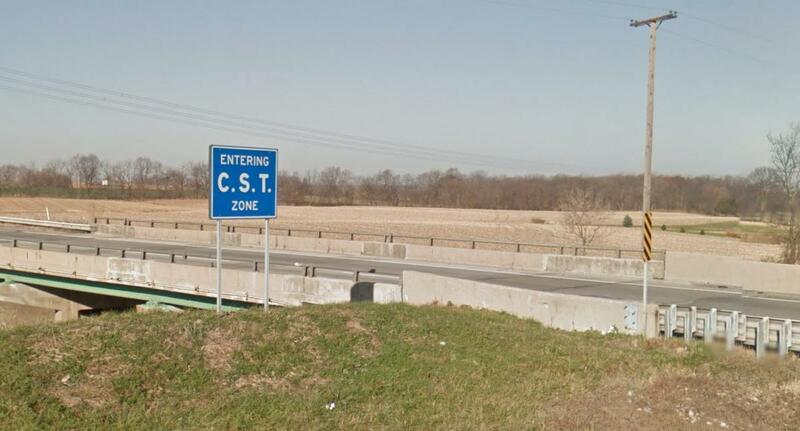 Beginning tomorrow, this sign in Indiana will be wrong again for the next eight months. when do you like your daylight? I hear you. I've been averse to the concept of craving daylight. I used to think it was a sign of being a simp. I'm the opposite: the pain of the loss of an hour is offset by the coming of 4 blessed months when it won't be below 0°C in the daytime, for the most part. granted: not many are 9-5 anymore.